I have a Word file with 272 prompts. New prompts often pop up in the middle of the night. Sometimes, if an idea comes when I’m away from home, I make notes on my little spiral cash book–or if my phone is with me–put it in the notes, and add it to my prompt document later. These suggestions help out on days when nothing in particular has touched me to write about, or I’ve been moving too quickly to notice–too engaged in life to step back with a writerly eye. 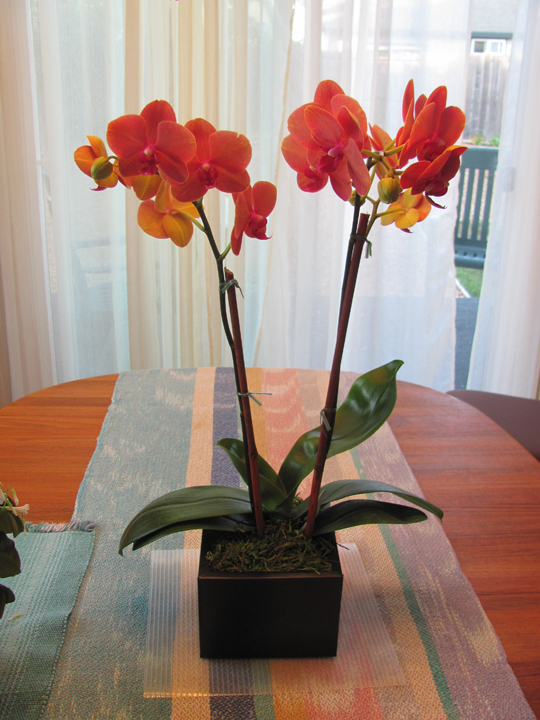 Orchids, for example, are generous beyond most flowers–the blossoms of some varieties last almost six months. Lilies bloom and then bloom some more. Our Christmas cactuses were filled with blooms twice this year, Thanksgiving and March. Their beauty stops the mind, gives a refreshing moment of stillness. I have a friend of thirty-five years whose home is close by. Her generosity simply overflows. When I admired the New Zealand spinach in her vegetable garden, she sent me home with two of its babies to put in our garden. She showed up with a bar of my favorite, hard-to-find soap the other day. The gifts are wonderful, but what I’m speaking about is her generosity of spirit–her heart is open and flowing. It brings tears, and it nudges me to remember. Overflowing hearts merge in oneness. Deep thanks to my dear friend. 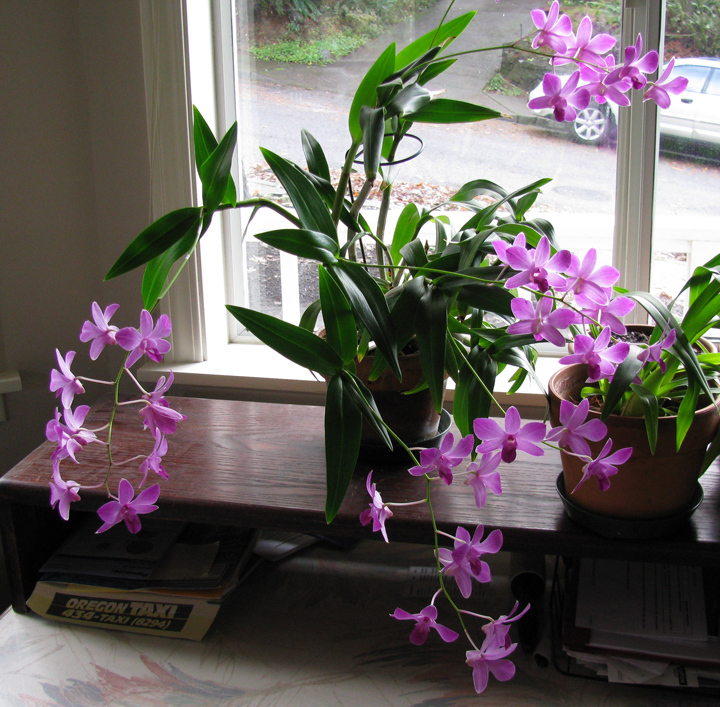 The orchid! Just for a moment, ” I ” disappear, as does “the orchid” and there is just beauty – awareness itself!